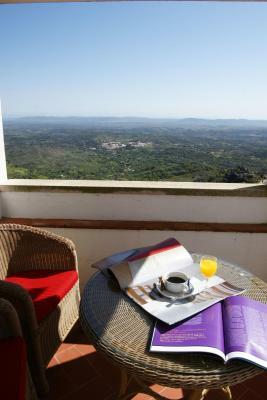 Lock in a great price for Pousada de Marvao – rated 8.7 by recent guests! 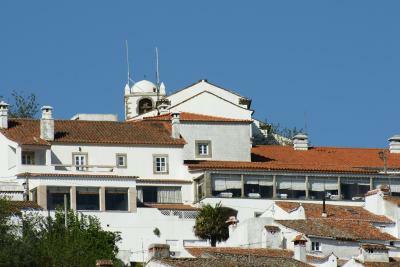 The pousada is a beautiful old building with a wonderful view. 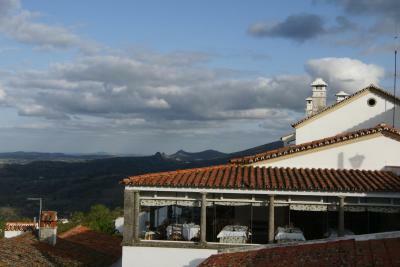 The location is great to visit Marvão by foot. The hotel was clean and the food was good. Everything was well done. Excellent experience and stay! Amazing location. On top of the world. View from the dining room can't be beat. 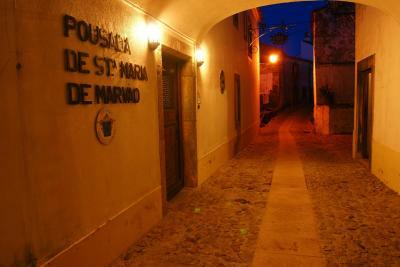 Small place in heart of old historic town. 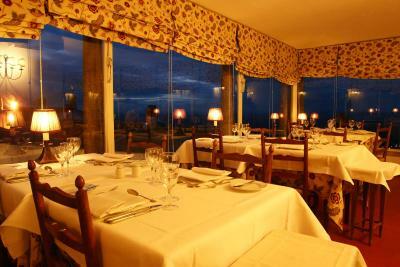 The restaurant served excellent food, including good fish. 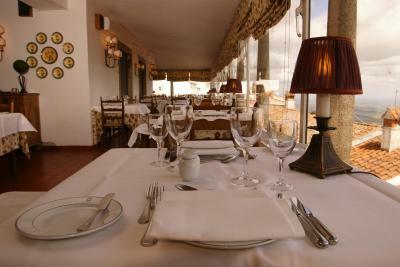 The views from the dining and sitting rooms. The reception staff arranged onward transport for us with a taxi. Best breakfast on our trip. This was our most favorite hotel for our entire trip. It was classic!! 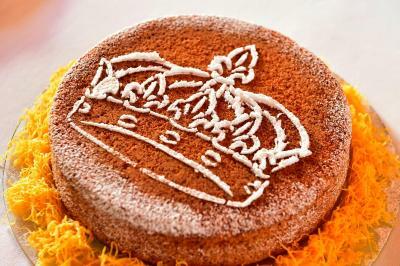 The staff was fantastic -- friendly, helpful, professional. 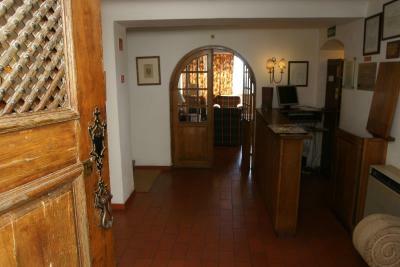 Beautiful small hotel in a wonderful fortified town. 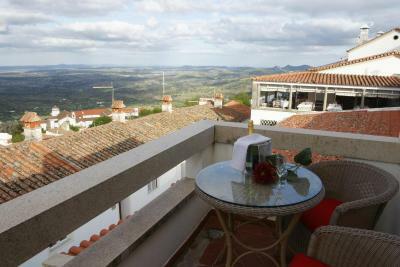 Pousada de Marvao This rating is a reflection of how the property compares to the industry standard when it comes to price, facilities and services available. It's based on a self-evaluation by the property. Use this rating to help choose your stay! One of our top picks in Marvão.Located in 2 small traditional whitewashed houses in Marvão, this charming pousada offers stunning views of the surrounding mountains from its restaurant. 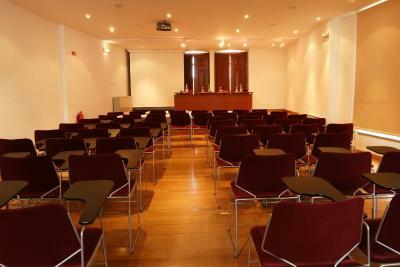 It features air-conditioned rooms with cable TV. 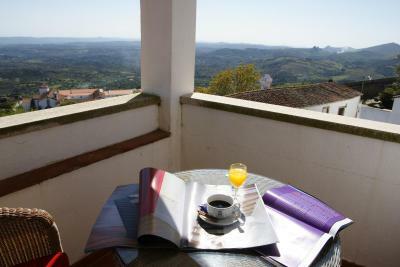 The rooms at Pousada de Marvao are equipped with a mini-bar, a work desk, and a private bathroom with a hairdryer. 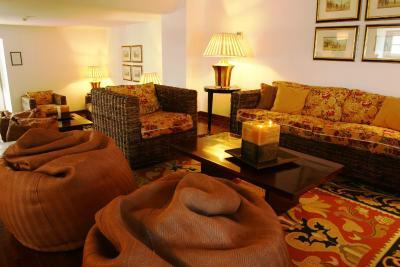 All rooms are decorated with elegant wooden furniture and warm colors. 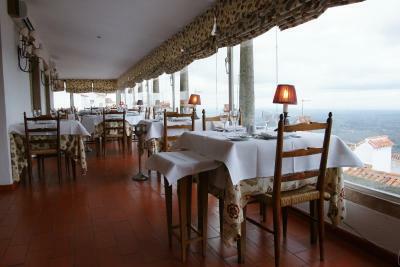 The panoramic restaurant offers authentic Portuguese dishes as well as international cuisine. The bar offers a selection of refreshing drinks. Room service is available. 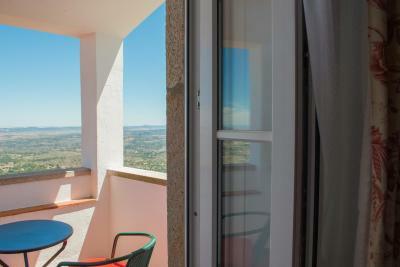 Available activities located nearby Pousada de Marvao include fishing and hiking. 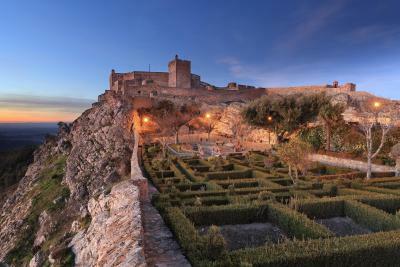 Guests can also explore the medieval town, which features a castle. 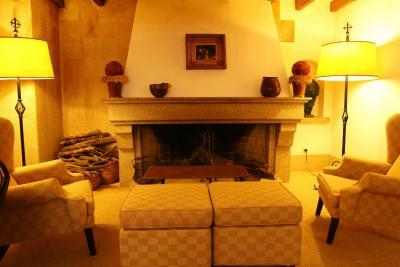 When would you like to stay at Pousada de Marvao? 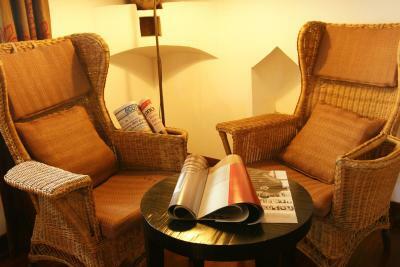 This air-conditioned room comes with a classic style decor. It also features a mini-bar, a desk, and a private marble bathroom. 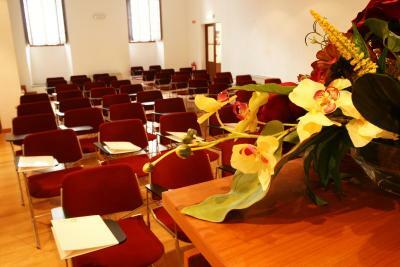 This spacious air-conditioned room comes with a classic style decor. It also features a mini-bar, a desk, and a private marble bathroom. 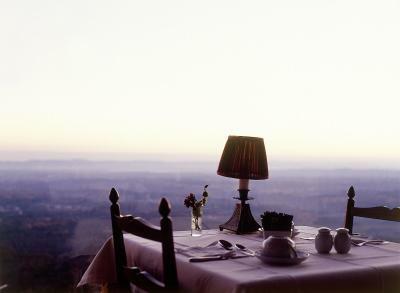 This room has views over the plains. 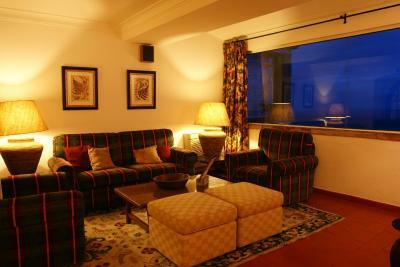 This most spacious room comes with a classic style decor. It also features a mini-bar, cable TV and a private marble bathroom. 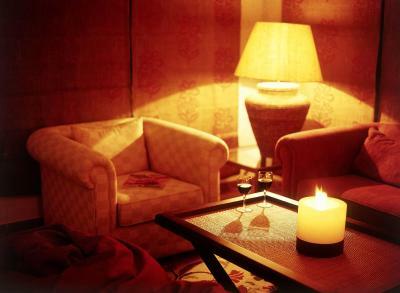 - An after-dinner drink will be offered. 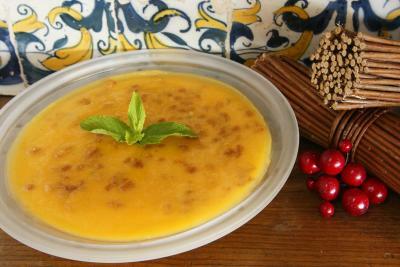 House Rules Pousada de Marvao takes special requests – add in the next step! 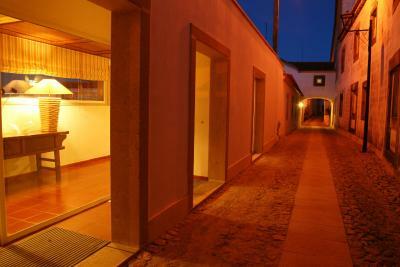 Pousada de Marvao accepts these cards and reserves the right to temporarily hold an amount prior to arrival. The food could have been a bit better. We loved the view of the mountains bordering Spain. The location is spectacular and the walk to the castle was fantastic. The breakfast and the dinner were not memorable at all. The hotel and restaurant are overpriced. 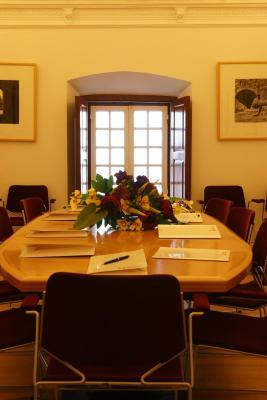 The room's furniture is old, which has its charms but lacks in comfort. The tv in the room was really small, hard to see anything. 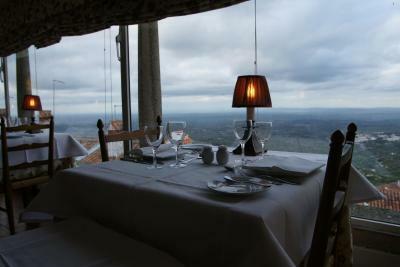 The food was good but comparable to that offered in other places in Marvão for a third of the price. We did not like dinner at the restaurant. I ordered a leg of lamb that was overdone and tasted more like mutton. My husband had a boar stew that tasted more like lamb. It was the most expensive dinner we had on the trip and the worst. The breakfast buffet was great. Magnificent views. 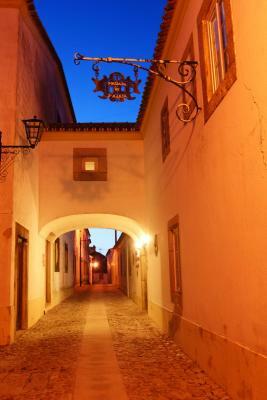 Lovely architecture in a charming village. My fourth visit. Says it all ! 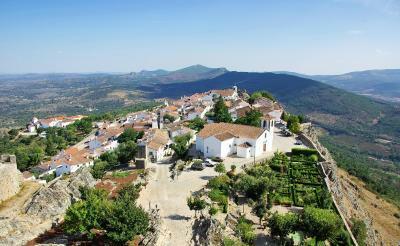 Marvao is in itself a marvel not to be missed. 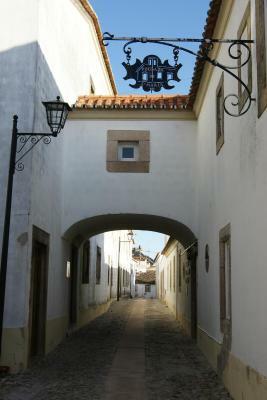 The Pousada is excellently placed to discover this unique place. 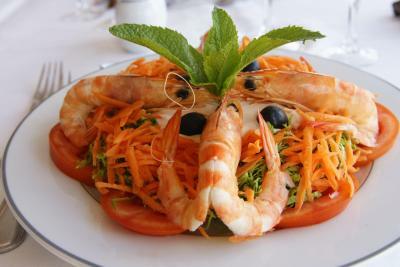 Food is excellent if the service is a little slow but heh we’ve got time. 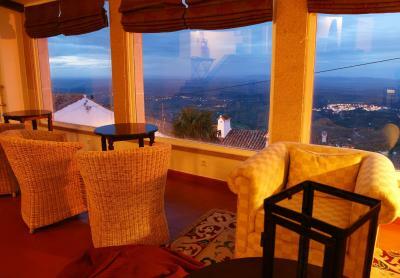 Our room had a balcony overlooking the valley.....beautiful! The breakfast. The location. The balcony. 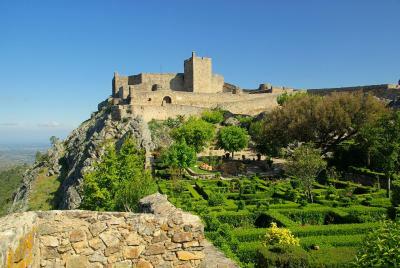 Marvao is a unique, isolated medieval village. It is a gem of the world.